There are many ways to lose weight effectively. You can do exercise, follow a strict diet, or take weight loss pills. However, not all weight loss techniques are safe for you and your health. To help you, we’ve compiled some helpful tips on how to lose weight safely. Before following a safe weight loss routine, it’s ideal to set your goals. However, it’s important to make your goals as realistic as possible. Make sure that they are achievable and attainable at a period of time. Also, make sure that they’re measurable. Your goals could be your weight, waist line, or anything that you want to achieve for your body. Just make sure that they’re realistic so that you can plan how and when you can pull them off. After setting your goals, the next step is to make a plan. Don’t make the mistake of just following a ‘calories in, calories out’ diet because planning a safe weight loss diet is actually not that simple. When it comes to planning your diet, it’s important to consider your metabolism. Metabolism is the process of turning calories into fuel. Once you realize this, you will understand just how harmful it is to cut your calorie intake. Therefore, when planning your safe weight loss diet, make sure that you don’t slow down your metabolism and fall short on nutrients. Breakfast will always be the most important part of the day, even when you’re on a diet. When you’re dieting, however, you should pay more attention to your breakfast meals. The healthiest breakfast are the ones that fill your stomach, keep you satisfied until the next meal, and ward off cravings. For breakfast, aim for 400 to 500 calories, and make sure to include a source of lean protean, filling fat, and fiber to your breakfast meal. As much as possible, see to it that you’re only eating whole foods that are not processed or packaged. Processed foods are not healthy because they have been preserved– they have high sodium content, and that’s not healthy for the body. To achieve your weight loss goals, make sure to only eat fresh foods like fruits and vegetables and stick to healthy food choices like lean protein, low-fat dairy, and whole grains. Instead of drinking sugary beverages like soda, juice, and sweetened coffee, which have high sugar content, go for real food, which will make you full without giving you extra calories. This may be new and odd to you, but spicy foods can actually help you cut back on calories. Capsaicin, a compound found in jalapeno and peppers, can increase the release of stress hormones in your body and can, in turn, speed up your body’s ability to burn calories. Minerals like calcium, potassium, and magnesium can counterbalance sodium. Foods that are rich in minerals are leafy greens and ‘orange’ foods like oranges, carrots, tomatoes, and sweet potatoes. Sleep deprivation can slow down your metabolism and can, therefore, make you fat. Plus, when you’re awake for a longer time, you’re, of course, more likely to munch on something. On top of exercising, it’s also ideal to add a few minutes of evening walk or hike to your everyday routine. This is because the body’s metabolism slows down toward the end of the day. As a tip, take thirty minutes of aerobic activity just before you eat your dinner. This will help increase your metabolic rate and turn more calories into fuel rather than fats. 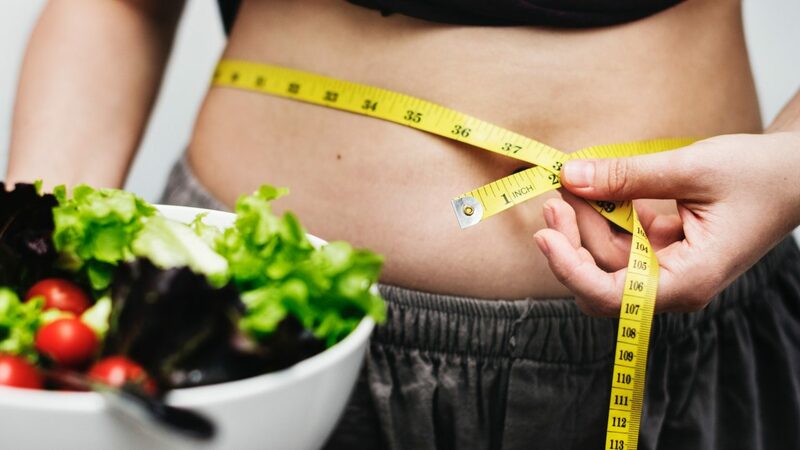 When it comes to a safe weight loss plan, you should scratch off unhealthy fad diets, weight loss traps, and other quick fixes. Be patient and understand that losing weight takes time so that you will not resort to bad quick fixes that can actually do more harm than good. Quick fixes do not actually help achieve your long-term goals and can only result in harmful side effects to your health. There are many different ways to lose weight safely. You just need to find the most suitable plan for your exact needs.